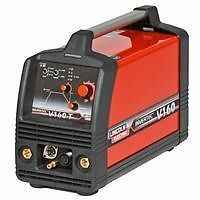 We are able to supply the full range of Lincoln Electric TIG Welding Machines. Generator compatible ideal for site use. Excellent arc characteristics for Rutile, Basic and Cellulosic electrodes up to 4.0mm. Smart switching 230/400V single phase. Advanced inverter technology optimizes arc performance in a lightweight package. Suitable for 115-230V (+15%-10%) single phase use smart switching. Excellent arc characteristics for a wide range of applications. Generator compatible, ideal for site use. Digital inverter technology allowing 100% reproducible results.